A fanatics of hunting or gaming? The Coolife hunting camera is a multipurpose, all-capable camera which can be used for outdoor hunting, animal monitoring, home security, and as an extraordinary digital camera that meets your whole need. 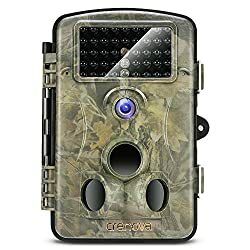 Its concealed, waterproof and dustproof design, allowing you in a variety of outside conditions to achieve the animal all-weather detection. 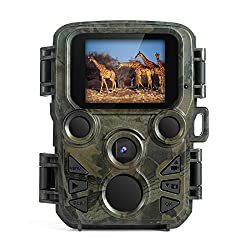 Automatically take pictures/video to record the whereabouts of animals. 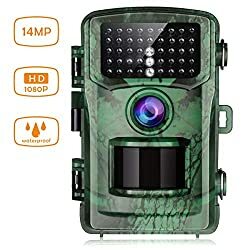 Sensor: 8 MegaPixel CMOS Sensor. Infrared Night Vision: 46 IR LEDs. 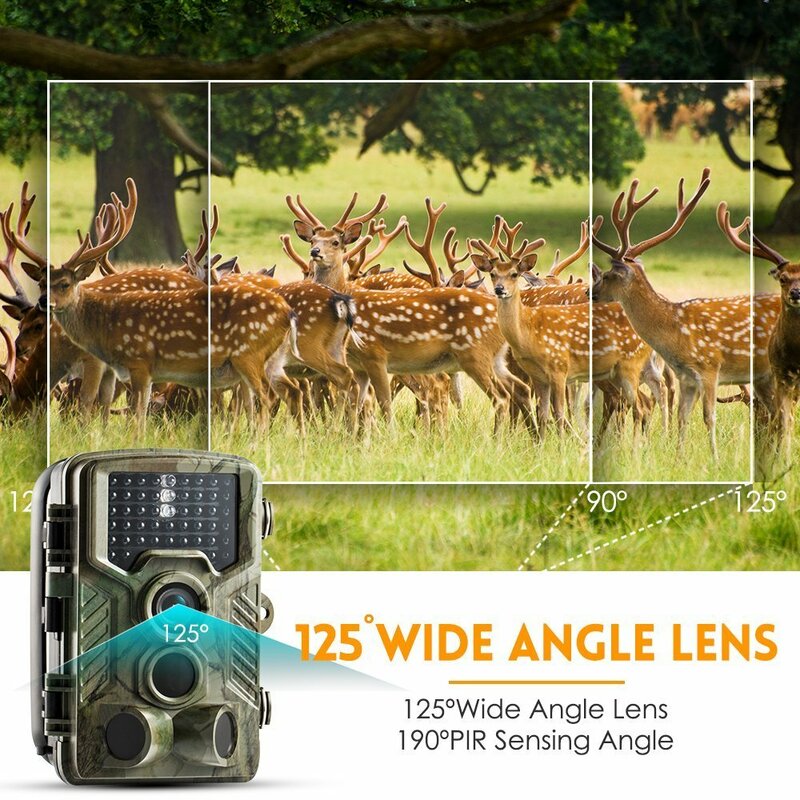 Waterproof and Dustproof Standard: IP56. Standby Time: 8 months with 8 new AA batteries. Screen Type: 2.4” TFT-LCD two PIR design for sensing angle maximum 120 degree. 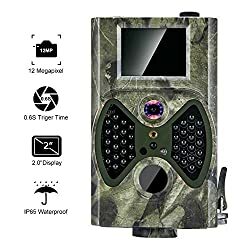 Detection mode: Photo, Video, Photo&Video. 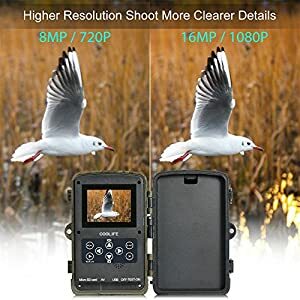 【1080P HD HIGHER RESOLUTION】16 Megapixel top quality resolution and 1920*1080P HD video resolution that will catch more clearer photos and videos with 0.2-0.6 seconds high trigger speed. The camera uses the 8-megapixel CMOS sensor. 【Three Capture Modes】Advanced Motion Detection Technology perfect for hunting and game in Photo/ Video/ Photo&Video(Take a picture first and the the video) modes. 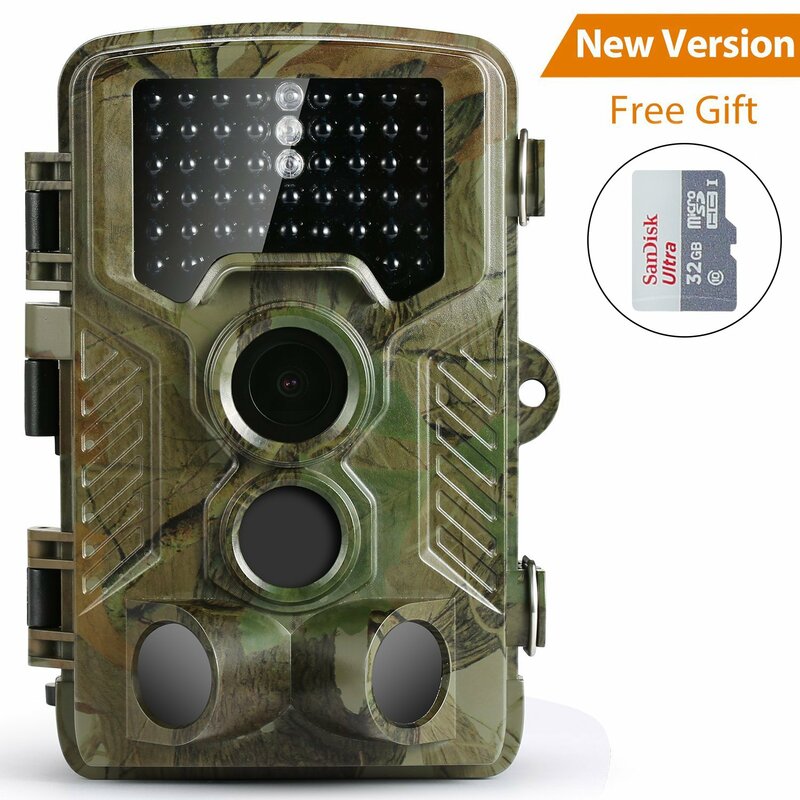 You’ll be able to easily find the proper mode for different remark, give you more convenience for hunting. 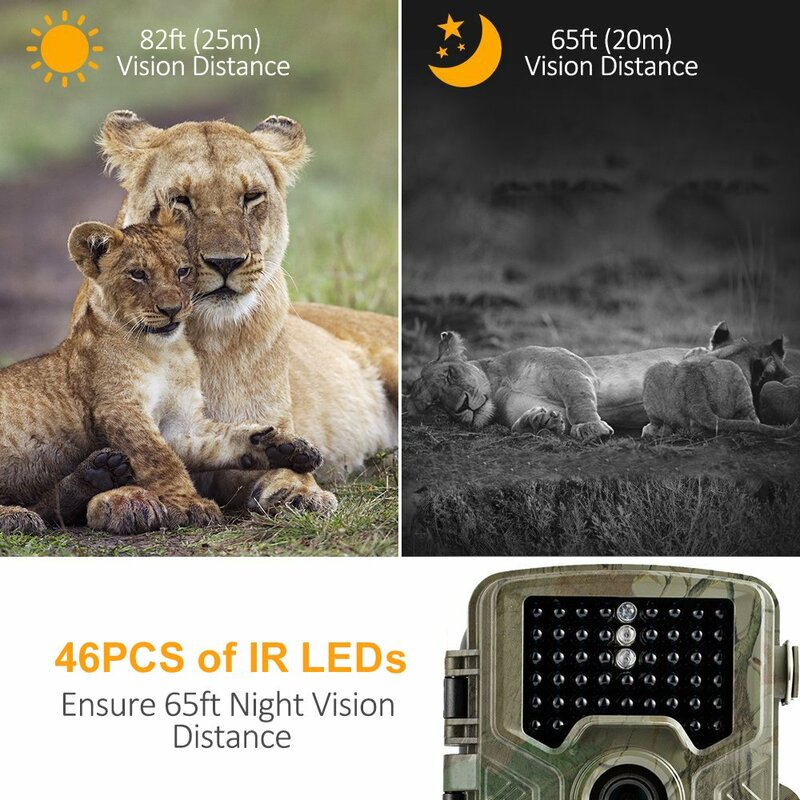 【Low Power Consumption】The wildlife camera is energy-saving. Use 8 AA alkaline batteries for up to 8 months of standby time(Note: do not mix old and new batteries). When there’s no detection of animal or human activities, It may be a very long time in an alert state. Once the animal (body) into the detection area, the camera will start taking pictures or video immediately. 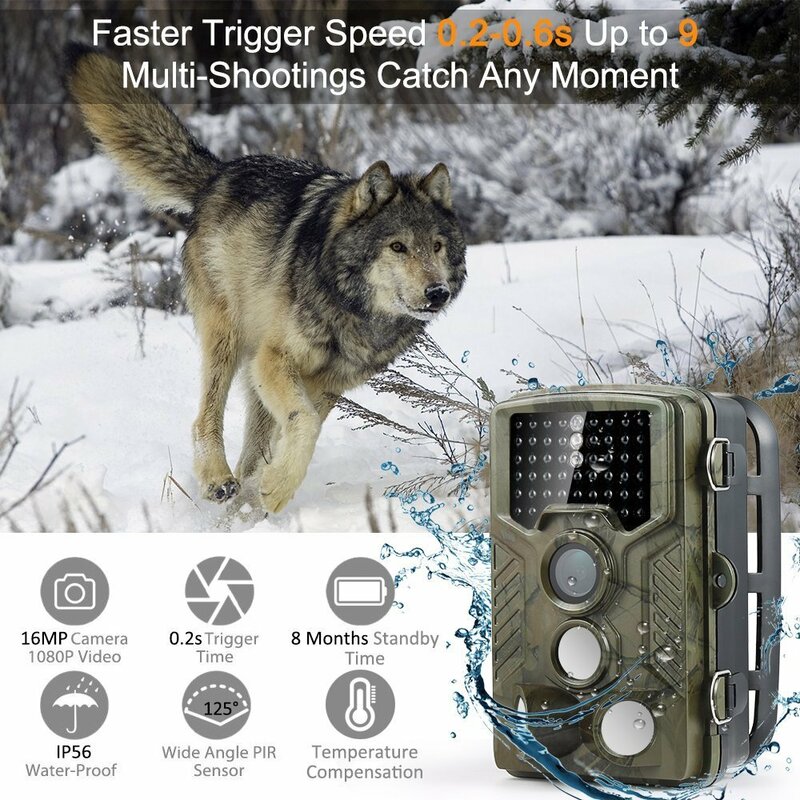 【IP56 Dustproof and Waterproof, Easy-Operating Multifunction】Highly IP56 dustproof and waterproof level makes this waterproof outdoor camera ideal for outdoor nature activities. 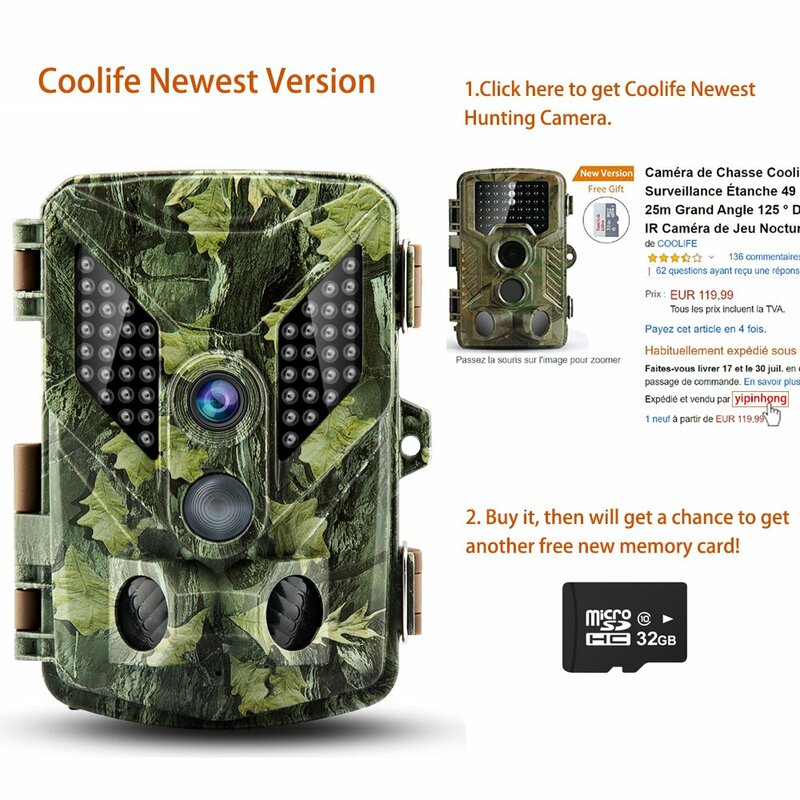 able to work in tough environments like desert or tropical rain forest.Coolife trail camera offers 1-year replacement and refund warranty with dedicated customer service and professional technical Improve.